Navigating Our Way is a leading national initiative committed to shifting how society values career and technical education and the skilled trades, so all students may follow their interests and pursue their passions. The short animated video created by FableVision in partnership with Big Picture Learning, will screen at the 17th annual Boston International Film Festival! The festival, which takes place April 11-16, aims to share the work of international independent filmmakers. The film follows two friends, Seymour and Sylvie, on different, but equally enriching life journeys. Their story strengthens students’ senses of identity, confidence, and purpose, no matter what path they choose. Check out Boston International Film Festival’s website for more information. FableVision Studios is proud to announce that we won two Parents’ Choice Gold Awards for our work on Project Here Games and The Water Princess! We would like to thank and congratulate all those involved in both projects. Project Here Games is a collection of games dedicated to ending substance abuse in teens that we designed and developed in partnership with Health Resources in Action, the GE Foundation, and the Massachusetts Attorney General Office. The game is a part of Project Here, a Massachusetts state-wide initiative to promote substance use prevention and healthy decision-making through social-emotional learning and to make substance use prevention education available to all public middle schools in the state. The Water Princess is an animated film that we created in collaboration with Weston Woods Studios. The film is based on the award-winning book of the same name, written by Susan Verde and illustrated by FableVision founder Peter H. Reynolds, which tells the story of supermodel and activist Georgie Badiel’s life and brings awareness to the clean water crisis. We’re proud of the hard work that our team put into these projects and the important messages that both Project Here Games and The Water Princess share with young audiences and their families. To read more about Project Here Games’ Gold Award, click here. To read more about The Water Princess’ Gold Award, click here. Throughout the event discover FabMaker Studio in the iSTEAM Playground. There will also be a break out session to explore FableVision Learning’s Fab@School Maker Studio, the design and fabrication program accessible and affordable to all schools and libraries. When: Tuesday, January 8, 2019, 4-8 p.m. The ED Games Expo showcases successful ed tech products given a kick start with government small business grants through the ED/IES Small Business Innovation Research program. Vote for two FableVision-developed games, Cyberchase Fractions Quest and Zoombinis, both nominated for 2019 Learning Games Awards. Fab@School Maker Studio is a web-based design and fabrication tool for students in PreK to grade 8 to design, invent, and build their own geometric constructions, pop-ups, and working machines using low-cost materials like paper and cardstock and a wide range of tools from scissors to inexpensive 2D cutters, 3D printers, and laser cutters. Developed by FableVision Studios, Reynolds Center for Teaching, Learning and Creativity, with initial funding in 2010 by ED/IES SBIR. Cyberchase Fractions Quest, based on the popular PBS KIDS math series Cyberchase, is an immersive game combining a high-stakes adventure story with a research-based approach to fractions learning. Created for use in Grades 3 and 4, the game is designed for use in both schools and homes, and for all major tablet, smartphone, and desktop/laptop platforms. Developed by FableVision Studios with support provided by a 2017 ED/IES SBIR award. Project Here Games is a free and innovative online app for middle school students to practice healthy decision-making for substance use prevention. The game is part of Project Here, a public-private collaboration to make substance use prevention education available to every public middle school in Massachusetts. Developed by FableVision Studios in partnership with the Massachusetts Attorney General’s Office, GE Foundation, Health Resources in Action, The Herren Project. FableVision Studios is delighted to announce our collaboration with the Boston Pops for the 2018 Holiday Pops season. Led by FableVision’s Vice President of Creative Tone Thyne and Animation Director Rick Ritter, the studio provided the concept, art and design, and animation for Leon Jessel’s “Parade of the Wooden Soldiers.” Inspired by Boston Pops conductor Keith Lockhart’s direction and desire to evoke the warmth, nostalgia, and magic of the holiday season, FableVision created an original story to accompany the musical composition. The animation will be projected on a 40-foot screen in Symphony Hall and will be accompanied by the orchestra. Thousands of families attend the beloved Holiday Pops every year to hear live renditions of their favorite holiday melodies and new seasonal songs. FableVision’s festive interpretation of “Parade of the Wooden Soldiers” embodies the spirit of the season and will be featured as part of the musical program at every concert. The animation follows a young wooden soldier who tries to keep up with his battalion despite a mischievous cardinal’s best efforts. March over to Symphony Hall to celebrate the holiday spirit with FableVision Studios and the Boston Pops! Purchase tickets to see Holiday Pops performances here. 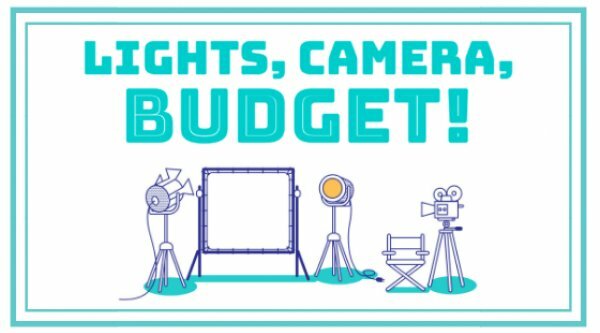 GPB Education, the Georgia Council on Economic Education, and FableVision Studios Launch Lights, Camera, Budget! GPB Education is headed to the movies with its latest online game for middle and high school students. Created in partnership with the Georgia Council on Economic Education (GCEE) and the award-winning media developers at FableVision Studios, Lights, Camera, Budget! capitalizes on the excitement of the film industry to teach personal finance concepts. The game was designed to work across web and mobile platforms and is available online and via mobile devices here. Students must analyze the risks and rewards of each choice and its impact on the budget, with the goal of creating a blockbuster movie that doesn’t bust the bank. Throughout the game, players draw on and enhance their knowledge of key financial literacy concepts, including debt, interest, loans and credit, budgeting, and goal setting. Lights, Camera, Budget! is aligned to the Georgia Standards of Excellence (GSE) and was vetted by Georgia educators and students who provided feedback during the development process to guide production. The project was made possible through funding from SunTrust Foundation. Read the full announcement on GPB’s site here. Attorney General Maura Healey and the GE Foundation today unveiled a first-of-its-kind web-based education app and announced nearly $450,000 in grants to public middle schools as part of Project Here, a $2 million public-private collaboration to make substance use prevention education available to all public middle schools in Massachusetts. Project Here was designed to tackle a significant unmet need in the state’s battle against the ongoing opioid crisis. Project Here promotes social emotional learning and empowers students to make healthy decisions through an innovative combination of curricula, digital content, and support for educators and students. The team behind the initiative (the Massachusetts Attorney General’s Office, GE Foundation, Health Resources in Action, The Herren Project) partnered with FableVision Studios to create Project Here Games, an innovative and engaging digital experience to teach students about healthy choices, peer pressure, substance use and coping with stress. Taking cues from popular mainstream games already played by the target audience, the research-based Project Here Games app is a web-based interactive structured as a fast-moving experience that offers bite-sized experiences. Players begin by playing a variety of mini-games and quizzes to earn skills in four content areas—myth-busting, coping, decision-making, and communication. Players can then apply these skills to solve scenarios dealing with critical social and emotional life skills such as mindfulness, peer pressure, stress, and effective communication. The scenario section gives players an opportunity to try out these solutions in a safe, online space and is structured as a fast-moving, playful consumer entertainment experience with an underlying, embedded curriculum. FableVision concepted and storyboarded the interactive with a variety of simulated environments to engage and assess students’ understanding about the risks of substance use and reinforce their healthy decision-making skills. Project Here Games is available for free on computers, tablets, and smartphones and has the flexibility to be used by teachers as an in-classroom activity or by students outside of school. Project Here Games is available to play at www.projectheregames.org. People can learn more information and schools can register for Project Here, which provides access to the Online Toolkit and support for Project Here Games, at www.here.world. You can watch the press conference announcement here and read the full press release here. 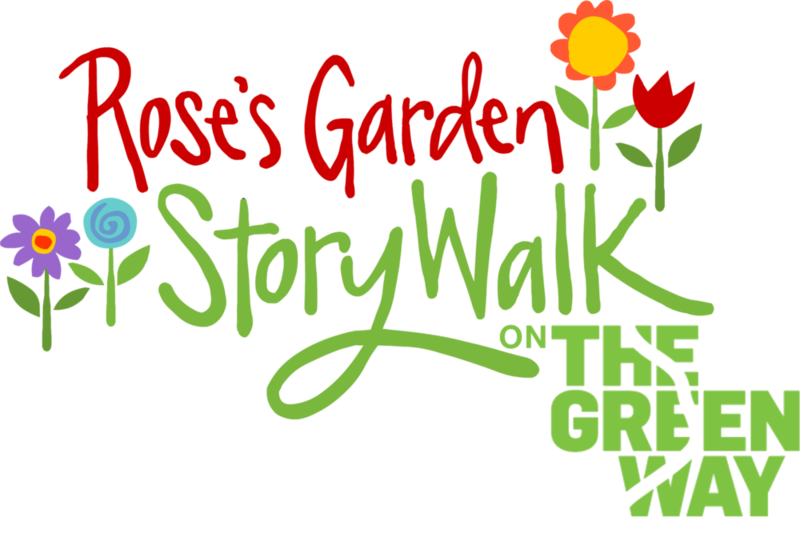 The Rose Kennedy Greenway will host a StoryWalk of New York Times bestselling author/illustrator Peter H. Reynolds' children's book, Rose's Garden, in August. Inspired by Rose Fitzgerald Kennedy and the work she did to make Boston a beautiful place, the book features a gorgeous garden much like The Greenway that winds through Boston's downtown. Join The Greenway, and partner organizations - The John F. Kennedy Library Foundation, The Edward M. Kennedy Institute for the United States Senate, the Boston Children's Museum, and The Reynolds Center for Teaching, Learning, and Creativity - over the summer months for a series of paper flower making activities. The culminatingulatin event will be held on Saturday, Aug. 25, with a photoshoot at 1 p.m. on the Greenway (Parcel 14). Children will be encouraged to make paper flowers and write how they will make a difference on the petals - and bring them for the big, group photo with author Peter H. Reynolds. For more details and to make flowers, click here. When: Saturday, August 25, 2018, 11 a.m. - 1 p.m.
FableVision Studios, in collaboration with Maryland Public Television (MPT), Maryland Humanities, and The Center for Information & Research on Civic Learning and Engagement (CIRCLE) at Tufts University's Tisch College of Civic Life, is proud to announce their award of a Teaching with Primary Sources (TPS) Regional Grant from theLibrary of Congress. This $450,000, two-year grant will fund the development of Civics: An American Musical,an online and mobile civics game designed to effectively and creatively engage middle school students using primary sources from the Library of Congress. Inspired by Lin-Manuel Miranda’s renowned musical Hamilton, Civics: An American Musical will consist of a web-based role playing game, hands-on classroom projects, and professional development materials for teachers. The Teaching with Primary Sources program at the Library of Congress is a powerful way to help students ask engaged, probing questions, develop critical-thinking skills, construct knowledge, and inspire original research. The educational outreach program for teachers provides professional-development opportunities that focus on enhancing their ability to embed digitized primary sources from the Library of Congress into inquiry-based instruction to build student literacy, critical thinking skills, and content knowledge. You can read the official Library of Congress announcement here. For more information about the TPS Grant and to learn more about Civics: An American Musical, read our full release. Have more questions? Please contact Sarah Ditkoff, Communications Director, at sarah@fablevision.com.